It will be cold, it will be quieter than normal, it will be gorgeous - and it will be worth it! Here are some top reasons why Christmas in Venice is really one of the most memorable Italian vacations. Venice is already beautiful, but the seasonal lighting and decorations take it to a new level. 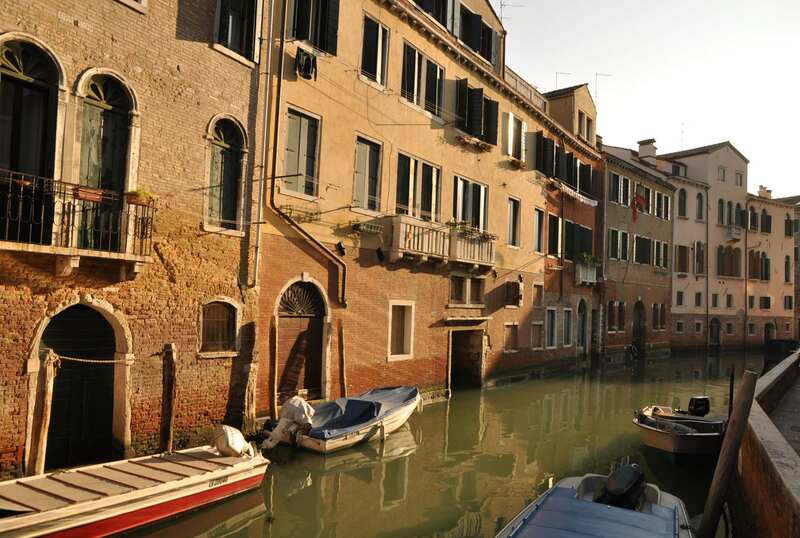 Anyone who visits Venice during an Italian holiday comments on it’s beauty. Venice is blessed with having a unique setting and many beautiful buildings, bridges and palaces. However, at Christmas, the beauty of the city steps up a gear. So, if you visit Venice at Christmas you will be treated to magical decorations and lighting, set against an already gorgeous backdrop. You cannot fail to be cheered by it. Even the gondolas, like the buildings, get dressed up for the festive season in Venice. Music echoes through the centre of Venice throughout the year. However, visit Venice at Christmas and you will be treated to something really quite special. Concerts in piazzas and churches have festive music and songs performed throughout the festive period. On Christmas Day itself, church bells ring all day from Piazza San Marco. It’s a truly wonderful experience. The sights are less crowded. Christmas in Venice is extra special. You will also find that the city itself is less crowded than during peak season. This means that when you visit Venice in December, you’ll find the famous sights like the Doges Palace or Basilica San Marco are much quieter than normal. As an added bonus, if you visit these sights in the morning, you’ll have even more peace and space to appreciate them. Join in with the Venetian traditions. There are a number of unique and wonderful Venetian Christmas traditions that you will get to experience if you come to Venice at Christmas. You can attend mass at Basilica San Marco / St. Mark’s Basilica during Advent, or you could even go to midnight Mass on Christmas Eve. You do not need to be Catholic to attend because everyone is welcome. However, you do need to arrive early to get a seat! The service will usually start at 11.30pm. Another Venetian tradition could be to visit one of Venice’s special Christmas concerts. These are held throughout the season and are well advertised throughout Venice. We think that those held at La Pieta church hosts some of the best. Incidentally, this is the church where one of Venice’s most famous musical sons, Vivaldi, was choirmaster. You could also make your way to the islands of Murano and/or Burano to buy some hand blown glass or traditional lace to take back as Christmas gifts for friends and family at home. Once you are on Murano, you can’t miss the famous glass Christmas tree that is reported to be the largest in the world. New Year’s Eve in Venice is also special and is usually celebrated with a meal, followed by a firework display in the city centre at St. Mark’s Square. There is usually a party celebration in the square with lots of live music - and a tremendous atmosphere. As you would expect, Venice in the winter is cold. So you will need to wrap up warm. However, the weather adds an extra dimension to your visit. The Grand Canal can sometimes get misty at this time of year – but this makes it even more atmospheric and beautiful. It’s like the buildings are floating. You can expect cold, crisp days in the winter with clear blue skies - making the views over the lagoon even more stunning at this time of year. Italy has a well-deserved reputation for beautiful food. Spend Christmas in Venice and you’re bound to have a fabulous culinary experience. It is traditional for Venetians to have a multi course fish dinner on Christmas Eve, while on Christmas day Venetians will traditionally enjoy Ravioli in a Capon broth, boiled capon, salami, potatoes and spinach. If you are planning to spend Christmas in Venice, then Avventure Bellissime can organise a private vacation package to help you explore Venice more fully. Here at Avventure Bellissime, we want to make your trip extra special. We are able to customise your experience and show you the wonders of Italy. Our guides speak excellent english and are always on hand to share that extra bit of information with you. If you are interested in a personalised tour, just get in contact with us. Experience the magical atmosphere of Venice this Christmas. If you would like to see what our guests have to say, then please feel free to take a look at our Facebook page and you can also find us on Trip Advisor too. Also, if you are looking for some travel inspiration similar to this guide on visiting Venice at Christmas, please do check out our other blog posts. We have many guides specific to Venice – including a guide to what makes it so unique, a guide to the Grand Canal and St Mark’s Square. (Remember that on Christmas Day and the 26 December those who live and work in Venice will be enjoying a holiday with their families. So, many services and tours will not run on those days, however, most run right up until 24 December and from 27 December onwards. Hotels are open but booking is required).